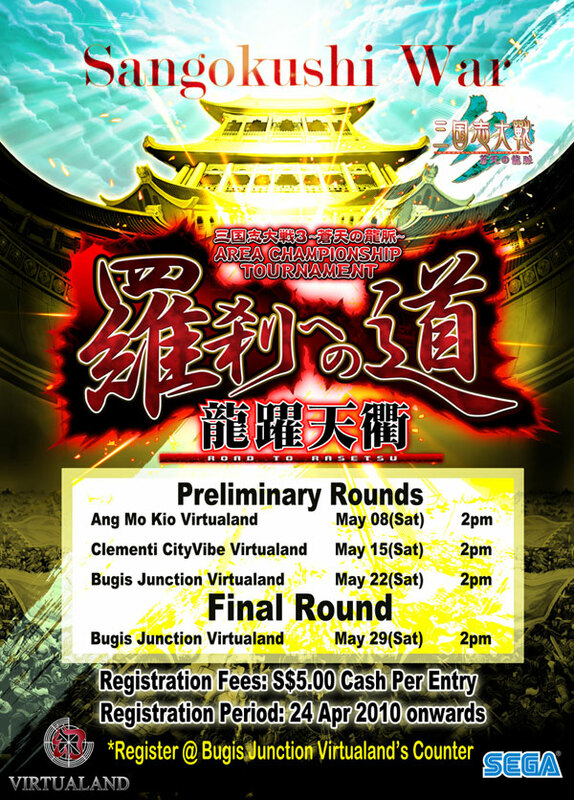 16 Generals entered Sangokushi War Area Championship Tournament 2010 Preliminary Round. Only the TOP 2 players get a chance to advance and compete in the Grand Finals. This time, TKA as one of the co-organiser arcade operators, held our preliminary rounds at Virtualand AMK Big Mac Centre and Clementi CityVibe was a great success!